Lakeridge Park with a pair of pelicans! 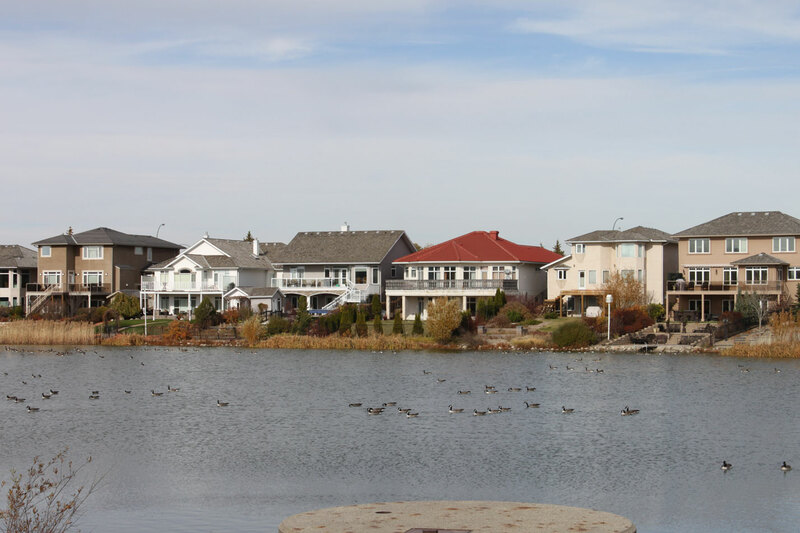 The Lakeridge neighborhood is found in Northwest Regina and is bordered by the Lakeridge Addition neighborhood to the North, the Lakewood neighborhood to the West, the Hawkstone neighbourhood to the East, and the Garden Ridge neighborhood to the South just over Rochdale Boulevard. 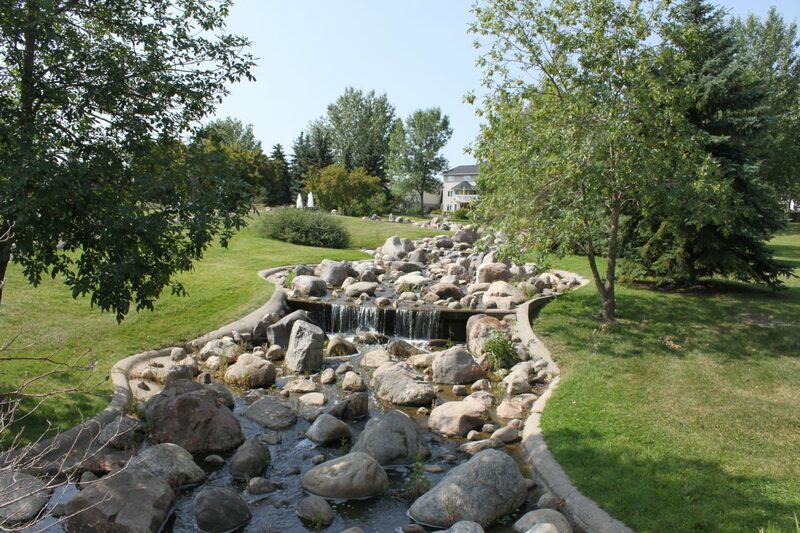 Lakeridge is a very family friendly area and was first approved by the City of Regina as a subdivision in 1988. Most homes in this neighbourhood were built between 1988-2015. 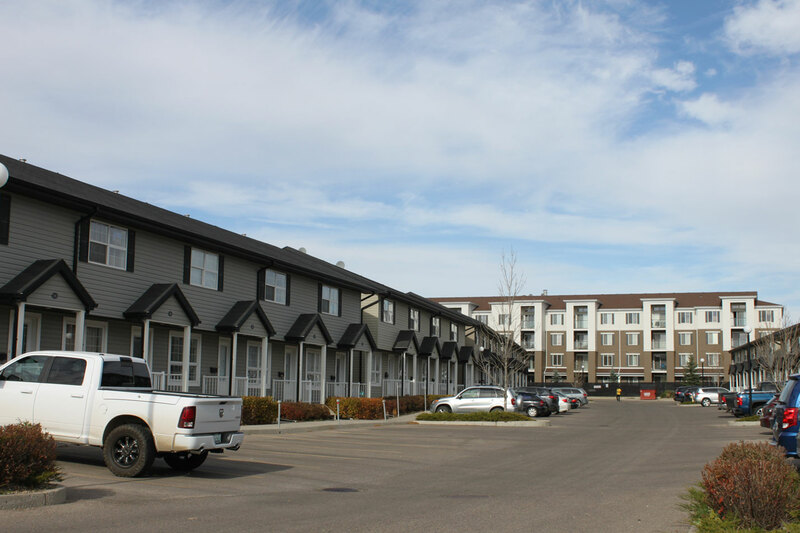 You can find a good mix of single family homes of all sizes and styles here as well as a full complement of condo options making up close to a quarter of the total housing stock in the area. An explosion of commercial development mostly along Rochdale Boulevard has appeared over the last few years with multiple retail businesses, grocery stores, plenty of restaurants, and so much more! Between Tamarind, Bomb Tempura & Korean BBQ Bowl, Western Pizza, Swiss Chalet, Mucho Burrito, and Montana’s you can discover many of the world’s cuisines while travelling no further then 1 city block! After all that eating, you may also want to stop and pay a visit to Oxygen Yoga & Fitness to make sure you’re keeping things in check. The jewel of the Lakeridge neighborhood is the rambling and spacious Lakeridge Park which is a huge greenspace for local residents to enjoy. 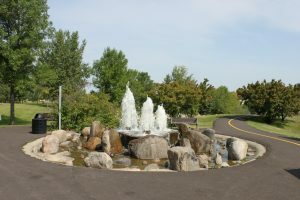 This amazing park comes complete with multiple walking paths, benches, picnic spots, play structures, sports fields, a lake and water fall with flowing stream. 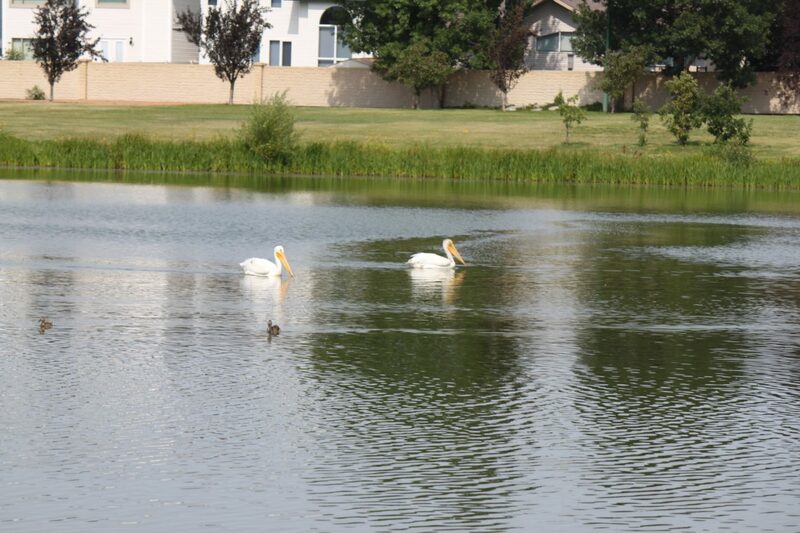 Naturalized areas also attract plenty of Saskatchewan flora & fauna including plenty of ducks and geese as well as a pair of pelicans who like to hang out in the park. 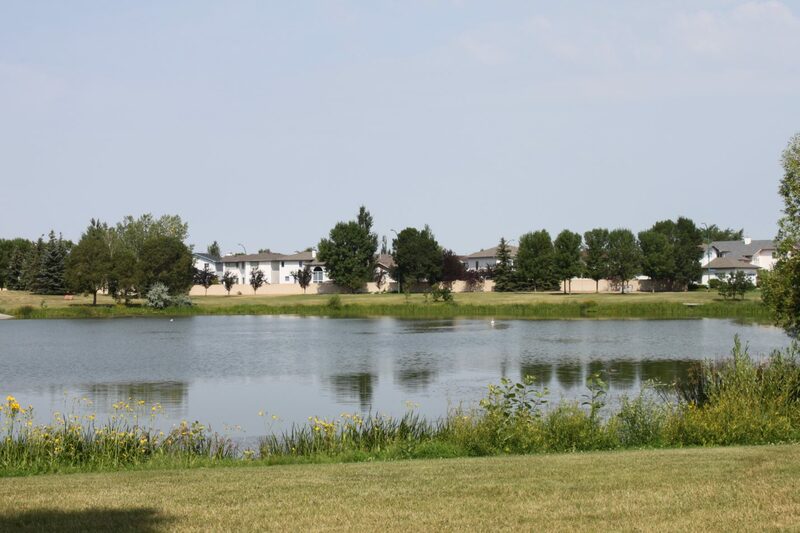 If you want to know what’s going on in the park or anywhere in the rest of the neighbourhood, check out the Walsh Acres/Lakeridge/Garden Ridge Community Association website.